Long before the days of GORE-TEX, eVent, or even Polartec Fleece, the weather resistant fabric du jour was something called 60/40 fabric. 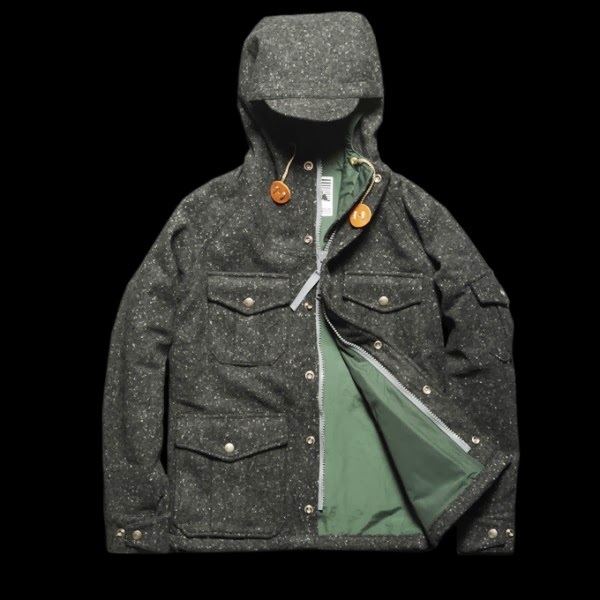 In 1968, this special fabric made Sierra Designs famous through the introduction of the original 60/40 mountain parka, planting the company firmly on the outdoor apparel map. Developed in the US during the 1950’s and still manufactured in the US today, 60/40 fabric is a combination of 60% cotton and 40% nylon. The cotton and nylon fibers are woven perpendicular to each other into a dense fabric that actually increases in density when wet, helping to further repel water and wind. In dry conditions, the fabric is extremely breathable, perfect for vigorous outdoor activities. Extremely durable, jackets made out of 60/40 fabric have been known to last a lifetime of outdoor punishment. Apparel made today with this fabric is usually treated with a DWR finish to help with water repellency and can be continually retreated over the life of the garment. Though eventually losing favor in the US, 60/40 fabric has remained popular in many parts of the world. Sierra Designs has now brought back the original 60/40 fabric in their Vintage Heritage Collection. Including insulated parkas and down jackets, some of the pieces are exact replicas, down to the color ways, of the original 1960’s designs. Every piece is fully lined, uses a heavy duty zipper and vintage leather pull tabs. A Japanese company has picked up on this renewed interest in the iconic 60/40 fabric and created an entire brand around it called Mt. Rainier Designs.